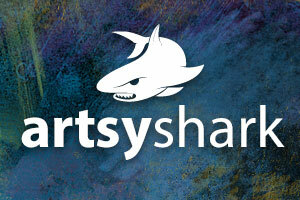 Featured Artists on Artsy Shark get publicity. As a Featured Artist, we present your portfolio, which is published as an article on Artsy Shark. In your own words, you will describe your inspiration, technique, goals and accomplishments. Share your story and what’s special about your creative work. Each featured artist article is read by many of the thousands of unique readers who visit this site each month. A prominent link in your article pushes traffic to your artist website, giving you another chance to share your portfolio, gather email addresses of interested visitors, and connect with your audience. Your artist feature is emailed to thousands of daily subscribers and shared extensively on social media. Then, your article link is again promoted to an extensive list of subscribers who receive our twice monthly email – driving more traffic to your artist feature, and your art website. All featured artists receive (completely free) a PDF document of their article in “magazine style format” that they can share through email, on their website, or print out and use as a physical marketing piece to promote their work. View a sample PDF here and another sample PDF here. Once you have been featured, your page becomes part of the permanent Featured Artists category on this site, where you will join the ranks of over 1,200 amazing artists whose portfolios are permanent and always shareable. Your featured article becomes an important part of your web presence, often showing up on the first page of a Google search for your name. It also links to your art website, which helps with your search ranking. Being featured gives you the opportunity to have your work seen and shared widely – and the opportunity to make great connections, and sales, too. Artsy Shark takes no commission or payment of any type on sales or contracts resulting from your artist feature! Use the link to your Artist Feature to promote your art as often as you like through social media, email marketing, or on a Press page on your art website.